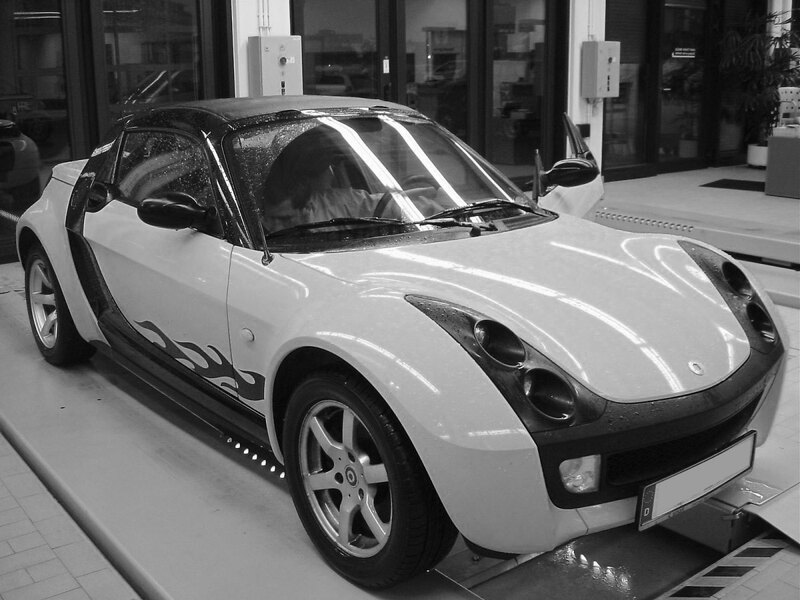 Why Bring your Smart to Langley Euro Fix? The Smart Fortwo became popular as a sensible vehicle for commuters, car enthusiasts and those needing small delivery vehicles. It was introduced to Canada in 2004 by Mercedes-Benz, and by early 2005, there was up to a six-month waiting list to own one of these ingenious little cars. Between 2008 and 2011, the Fortwo was completely redesigned and was then powered by a 70 horsepower 999 cc engine from Mitsubishi. While there is not a big choice of Smart models, these are easily one of the most versatile vehicles on the road. They leave a small footprint and can be parked anywhere, even when there are no parking spots open. Available in only a Fortwo coupe or cabriolet, there is one other version that is tailor made to its owner’s specifications, the Brabus. While these mini-cars are smart when it comes to parking, driving and size, Smart actually stands for Swatch Mercedes ART, and its logo stands for compact forward thinking with the small “c” and arrow. When your Smart is in need of repair or maintenance services, Euro Fix of Langley is the smart place to bring your minicar. Every European vehicle, no matter how big or small, requires routine maintenance as well as occasional large or small repairs. Euro Fix has specially trained technicians using the latest technology to diagnose and repair any problem with your Smart. We also offer maintenance services, including oil changes, tire rotation, brakes and air conditioning charges. If you have a repair or replace issue, Euro Fix can also handle transmissions, engines, brake systems and more. Another great thing about Euro Fix of Langley is that we can provide the same level of expertise as your dealership, without the high price tag. We also offer a multiple point inspection with any work we do to be sure your car is running as good as or better than it was when you drop it off. We also try to help you keep more money in your pocket every time you come in by charging the same labour rates for European vehicles as we do for domestic cars, trucks, crossovers and SUVs. Euro Fix offers repair and maintenance services by skilled technicians with the latest technology available. We can diagnose, repair or replace any component on your Smart as well as provide oil changes, air conditioning service and brake service, just like your dealership can, just at a much better price. With the addition of our multiple point inspection, we make sure that nothing is missed each time you come in. We want to keep your European car running like new and lasting longer. There is no other place for repair or maintenance services than Euro Fix. We are happy to serve Smart owners in Langley BC as well as other communities including New Westminster, Delta and Surrey BC. Schedule your appointment online or call us today at 604-674-7665. Euro Fix is the smart way to keep your Smart running like new.